Beautiful gift baskets are a gift that is appreciated and welcomed by most everyone! 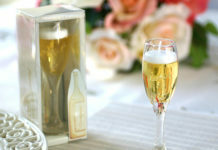 You can make these for your bridal attendants, mothers or close friends who are helping you with your wedding planning. They make great “thank you” gifts as well! These baskets are designed and created by you, so that makes this gift an extra special one, since *you* made it! This gift is wonderful to make (and receive), because you are only limited by your own imagination. Here are a few steps to creating an unique gift presentation. Pick a color scheme – This is where the fun begins and you get to be creative. Selection of gift items for your present – When buying the gifts to go inside your basket or container, choose a variety of items in size, shape and color, For instance, in the baby basket you might choose a bottle, a rattle, sleeper outfits, socks and a few small things like pacifiers and safety pins. Make sure that whatever container you choose fits the amount and size of gifts you have chosen. Make sure that the container looks full and not half empty. Filler – Excelsior works great. It fills up the bottom, helps keep things in place and looks great too. You could also add some colored shred if you need more color. Shrink or cello wrap – Shrink wrap draws up when heat is applied with a heat gun or blow dryer. It comes in sheets or in bag form. Cello wrap come in a roll and is gathered up at the top of the basket and secured with ribbon. It does not shrink. Ribbon – Work with the theme of the gift to top off the basket or use raffia. Both are great finishing touches. 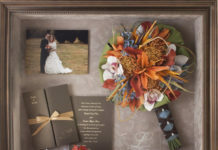 Silk flowers – A few stems of assorted silk flowers and greenery can really add class. First put filler into the container and fluff it out. Now add the gifts. Start with the tallest gift in the middle and taper down in size to the edge all the way around the. This allows the gifts to be seen from all angles. Items such as clothing or linens ( towels, pillowcases) can be rolled to make them more contact and will give an interesting look. Remember to stuff excelsior around and between items to fill up space. Once all the gifts are arranged the way you like add a head of a silk flower or even a candy bar. Coordinating filler items can add a lot of interest to your basket. Now place filled container in shrink wrap bag or pull up two or three sheets of cello wrap securing at top with a ribbon or twisty. If shrink wrap is used, shrink as instructed its packaging. Finish off with a bow, tie on flowers or trinkets. 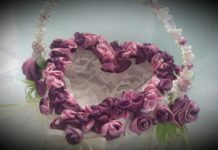 Viola’ you have a one of a kind gift item to present. A lot of times they are so pretty people don’t want to open them. Coffee or tea drinker: Add a few packets of each or both, a book on either, biscotti, gift certificate to Starbucks and a mug. 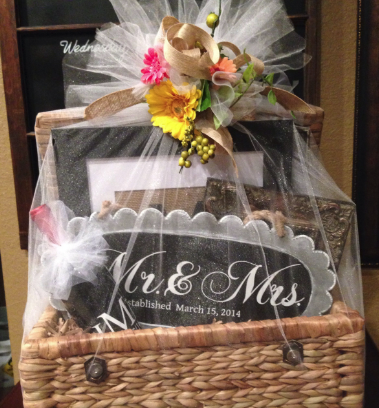 Kitchen theme: Instead of a basket use part of the actual gift such as a crock pot, colander or small trash can. Add kitchen utensils, dishtowels and maybe a cookbook. Bath and body: Start with a clay pot add lotions, gels, bath salts, tub pillow or candle. There themes are endless. Have fun with this. Every gift you give can be its own masterpiece. GOOD LUCK!